Webguru Infosystems, an ISO 9001:2015 certified mobile app development company in India, provides cost effective enterprise mobility solutions based on the specific needs and requirements of the businesses worldwide. Our experienced team of application UI designers, UX experts and developers build top class mobile applications with quick development and deployment at affordable costs. In the last 5 years, we have provided custom mobile app development services to our global clientele in real estates, delivery & logistics, transportation services, health and wellness, networking, tours & travels and more. You have the vision and we have the strategy. You give ideas, we create the blueprint. Together, we can develop some amazing apps with ease. Our development team comprises of expert Native and Hybrid App developers, dedicated to designing, developing apps for Android, iOS & cross platform. Top mobile app development services are always customized as per your brand requisites. We research your business extensively before initiating the development process. Our App Store Optimization services help your mobile app to stand out from the crowd in the App Stores of Android, iOS and Windows platform. Smart phones are everywhere on the planet and most people use at least two to three mobile apps everyday. A Mobile app development agency can help you stand out from the crowd of competition by garnering maximum user attention. Check out some of the benefits of having a business mobile app. Mobile apps make it easy for buyers to browse, compare and purchase products or services on the go, anytime and anywhere. A user sees your app multiple times a day when browsing through their phone which consolidates your brand. This is a tool to keep your customers updated with the latest offers with timely notifications. With loyalty programs and customer specific deals you can attract more people and grow your customer base. Our mobile app team offers a full suite of technology-related solutions, with a focus on custom app development to boost the businesses. As the top mobile app builder in India, we develop visually outstanding and technically sound apps. 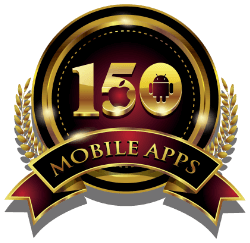 Our expert developers, designers and project managers have delivered 100+ mobile apps for the global clientele. Are you looking to hire expert mobile app developers? We are a leading Indian app development company. We follow a systematic development process to ensure the highest quality of apps for you. From inception of the project to support in long term, we maintain strict quality control through all stages of development. Be it iPhone app development, iPad app development or Android app development, we have an expertise of over 5 years in this field, enabling us to dig deep into our knowledge base and extensive experience. Check out the process our developers follow to build robust mobile apps. In the first phase, we look into what your company is about, what the target group is, and what kind of app will suit your business. Human behaviour and interaction to different kinds of apps also constitutes a major part of our research. As a reputed mobile app development agency, we have an experienced team of developers who work under the guidance of team leaders and project managers to build appealing, engaging and affordable mobile applications specifically tailored for your business. We test our applications thoroughly on different devices to ensure maximum usability before they can be launched commercially. This enables us to track bugs and test user experience which we might have overlooked during development. It is only after developing and testing the applications that we deliver them to our clients. We value the time and resources spent on building an app, which is why we strictly adhere to delivery time-lines. We also ensure smooth deployment of apps on different app stores. The growing use of smartphones (and tablets) across the world has been fuelled by the popularity of mobile applications. These self contained software programs have eased our lives considerably by providing products and services that were in the realm of science fiction in the not too distant past.